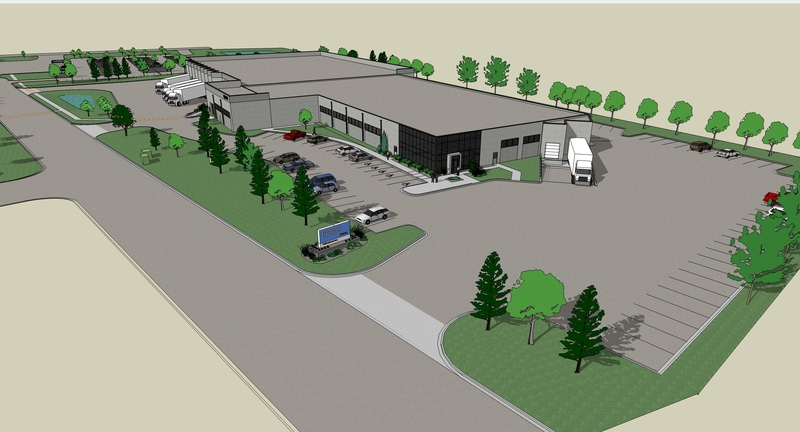 Uponor Invests $18 Million to Expand PEX Pipe Manufacturing Facility in Apple Valley, Minn.
Our foremost event for professionals in the plumbing, fire safety, radiant heating/cooling and hydronic distribution piping industries. The success of lean practices garners award from Manufacturers Alliance. This video briefly highlights Uponor’s three main product groups: Plumbing, Fire Safety and Radiant Heating. 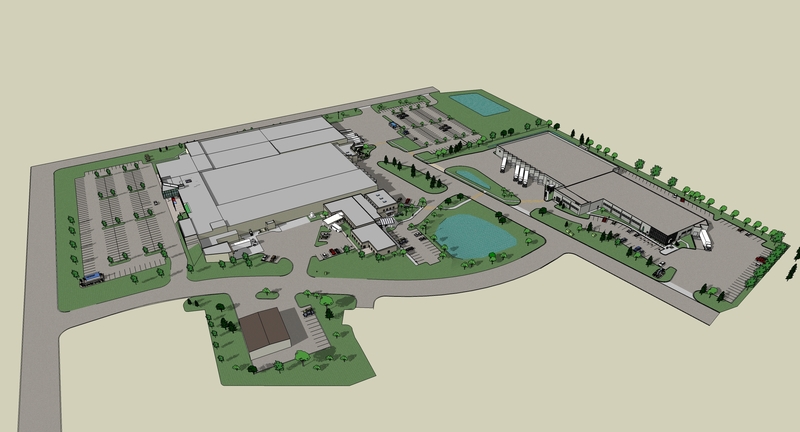 Uponor North America (Uponor) is expanding its manufacturing facility in Apple Valley, Minn. beginning late spring 2015, with completion expected by Dec. 1, 2015. The $18 million investment will be used toward the renovation and expansion of an additional 88,000 square feet to accommodate lean manufacturing and office space, as well as additional manufacturing equipment that is required. Uponor's North American headquarters are also located in Apple Valley, and the company has a distribution center and resin-processing center located in nearby Lakeville, Minn. By year-end, the total Twin Cities metro area footprint will amount to 654,738 square feet on approximately 50 acres of total property. The building expansion, in which the company will pursue LEED© certification, is required to meet forecasted growth for its crosslinked polyethylene (PEX) tubing in plumbing, fire sprinkler, radiant heating and cooling and hydronic piping systems used in residential and commercial buildings. "It's a very exciting time in the building industry, especially after the downturn we experienced in the market just a few years ago," says Bill Gray, Uponor North America president. "We're seeing significant growth in commercial and residential construction, and this expansion will ensure we match forecasted growth and demand for our PEX systems." Uponor CEO and President Jyri Luomakoski adds, "Our North American region has consistently boosted profits and seized market share, both in the residential commercial segments. The team's success is driven by always doing what's best for our customers, looking for better ways to perform, innovation, hard work and diligent execution." Uponor's decision to expand again in Apple Valley was partly due to the cooperation of the State of Minnesota and the City of Apple Valley in joining together in providing an attractive incentive package. Uponor has applied for financial support from the City of Apple Valley as well as state assistance from the Minnesota Department of Employment and Economic Development's Minnesota Job Creation Fund and the Minnesota Investment Fund to assist the expansion. "Uponor has been an outstanding job creator since opening its North American headquarters in Apple Valley in 1990," says DEED Commissioner Katie Clark Sieben. "With such a large global presence, we are grateful for the company's decision to make further investments in Minnesota." Apple Valley Mayor Mary Hamann-Roland adds, "I'm honored that Uponor has made a deliberate decision to expand again in Apple Valley. Uponor is a global, innovative partner with their compass focused on a bright future and our shared values for healthy people, planet and a profitable economy." Uponor's physical space is not the only thing that is expanding. They have created more than 130 new jobs in the Twin Cities over the past three years and anticipate adding a significant number of jobs as a result of the manufacturing expansion — contributing toward the economic development in the metro area. Uponor Group employs 4,000 employees worldwide, with about 500 employees located in the Twin Cities. This year marks Uponor's 25-year anniversary in Apple Valley. Uponor chose to continue to invest in the Twin Cities because of its location, access to a wealth of talent and the continued support from both the City of Apple Valley and the State of Minnesota. Gray adds that he is grateful for the City of Apple Valley, the State of Minnesota, the Uponor Board of Directors and Uponor CEO Jyri Luomakoski for their confidence in Uponor North America. "Our success is a result of connecting and building solid relationships with all our partners: the city, the state, our employees, manufacturer representatives, wholesale distributors, builders, architects, contractors and plumbing professionals." Uponor, Inc. is an award-winning provider of plumbing, fire safety, radiant heating/cooling, hydronic piping and pre-insulated piping systems for residential and commercial applications. In 2014, the company received a Best-in-Class award for Minnesota manufacturing, a Community Impact Award for sustainability, and a Progress Minnesota award for driving business growth and economic development. The company was also named a Top 100 Workplace by the Minneapolis Star Tribune. Uponor, Inc. employs around 500 people at its North American headquarters in Apple Valley, Minn.
For more information about Uponor, visit http://uponor.greenhousedigitalpr.com/archive/ or www.uponor-usa.com/mediaroom. For editorial assistance, contact John O'Reilly c/o GreenHouse Digital + PR at (815) 469-9100; e-mail: john@greenhousedigitalpr.com. The new facility will add an additional 88,000 square feet of manufacturing and office space to support Uponor's PEX piping business. The new facility, which is located adjacent to the Uponor North America headquarters, consists of a 34,000-square-foot remodel to an existing structure along with a 54,000-square-foot addition. *To download a hi-res image file, click the Hi-Res image link, right click the larger image, and select save image, to save to your local computer.